Kim Sauer meets up with Dieter Swindley, Project Manager at Amfax to find out about the company's latest 3D-inspection machine. Filmed live at electronica 2018. 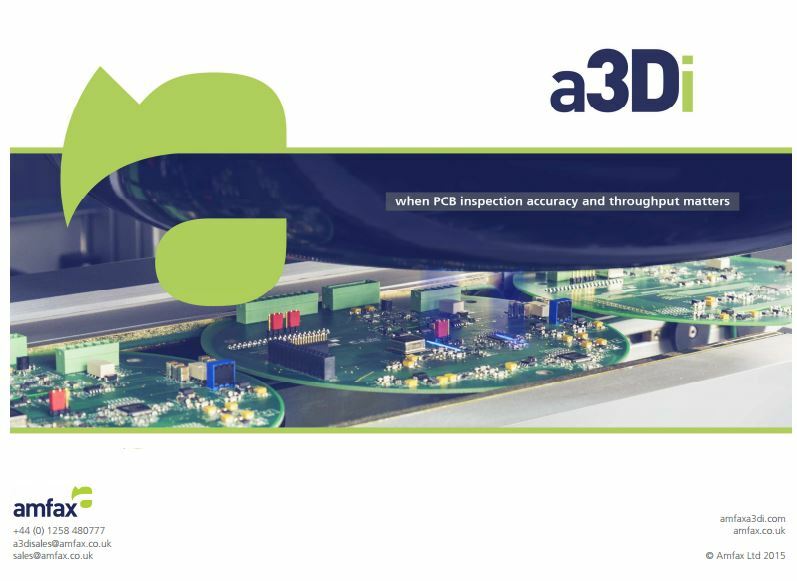 A unique new next generation PCBA inspection system using laser triangulation making true metrology level quality PCB inspection a reality. Alan Smith, Managing director of Amfax discussed the capabilities of Amfax as a test equipment solutions provider and how the a3Di system fits into Amfax's offering. This interview was filmed during NI-Week 2015 in Austin, Texas.